Aikido is a dynamic, noncompetitive martial art based on harmony and reconciliation. 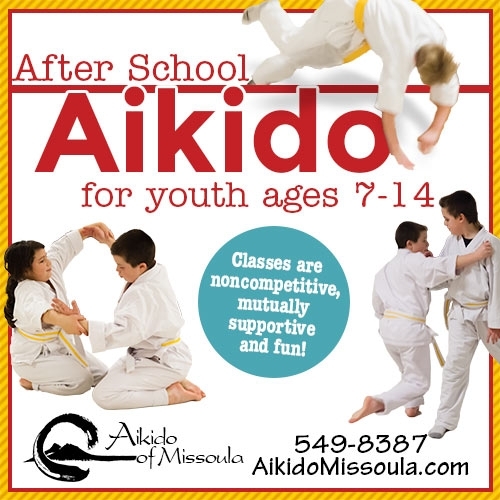 - Aikido classes are noncompetitive, mutually supportive and fun! 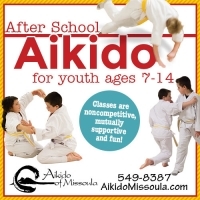 After School Aikido classes occur every Tuesday & Thursday from 4:15 to 5:15 pm. New students are accepted each month after attending a scheduled orientation class. Visit our website to see when the next orientation begins!